VICKI Treadell does not play golf. So, there is little chance that you will find the British high commissioner to Malaysia engaging in golf diplomacy. But she is big in a different form of diplomacy, which involves food. 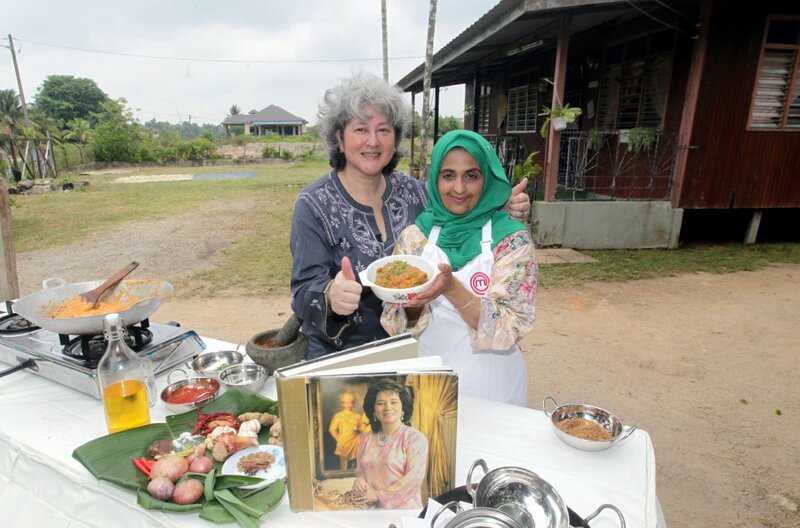 “To me, food is an important tool for diplomacy and the art of it is what I call gastro diplomacy,” she said while cooking chicken rendang at the home of MasterChef UK 2018 contestant Zaleha Kadir Olpin in Kuantan, Pahang, recently. “The kitchen of an ambassador or a high commissioner’s residence is an important tool of the trade. “Because the meals you serve, the engagements that you have, (and) the conversations at the dining table are part of how you develop and nurture relationships. Gastro diplomacy is one of the more exciting trends in public diplomacy outreach. It is based on the notion that “the easiest way to win hearts and minds is through the stomach”. It seeks to create a tangible, emotional and transnational connection. “I think all these are important because diplomacy is about relationships — how you build trust, how you engender warmth and even how you disagree. “You need to be professional and respect differences, find common ground and consensus to work together and to deliver. “I think food is a great way to achieve that. Treadell is such a firm believer in gastro diplomacy that she is writing a book about it, basing it on her own experiences during her oversea postings. “The book is about diplomacy, about events that I was involved in. She cited the gala dinner she hosted during the visit of the Prince of Wales and Duchess of Cornwall to Malaysia in November as one of the highlights of gastro diplomacy. of Malay-sian elements” for 550 guests. “The meal spoke about the United Kingdom–Malaysia relations. She said the starter was hot-smoked salmon from Scotland, flown in for the occasion. Instead of serving it with salad garnishes, the chef replaced it with Sarawak ferns (Midin). The main course was the classic British dish, Beef Wellington, but it was presented as Beef Rendang Wellington instead. 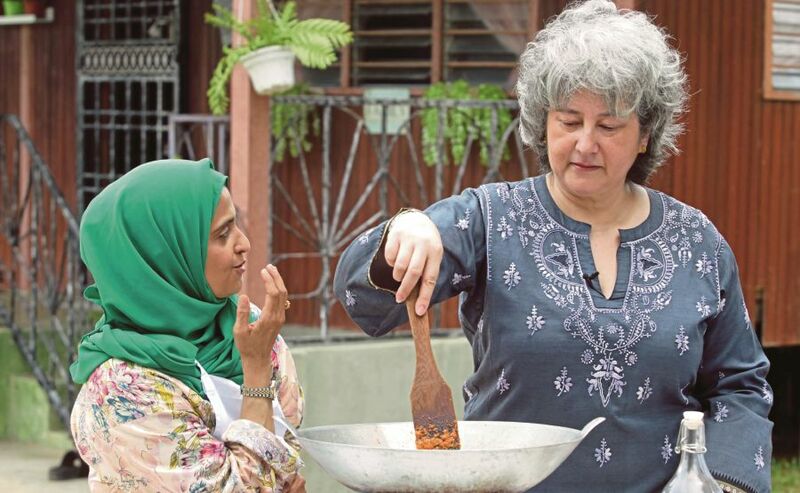 Vicki Treadell (right) cooking chicken ‘rendang’ with ‘MasterChef UK 2018’ contestant Zaleha Kadir Olpin at the latter’s home in Kuantan recently. “Apart from the fillet steak, we used rendang sauce to flavour the Beef Wellington. For dessert, the classic British Trifle consisted of rambutan, mango and papaya instead of strawberries, raspberries and British berries. She said she hoped the dishes spoke of the connection between the two countries. “Breaking bread, (we were) celebrating the royal visit of the Prince of Wales and Duchess of Cornwall, but also 60 years of Malaysia’s nationhood and our bilateral relationship since independence. The book contains sketches, anecdotes and photographs, some of which she had posted on her Instagram account. There are stories revolving around food or events that she attended. On a personal side, Treadell shares activities during her down time. “It is a way to unwind and to re- charge. She said there was a chapter on “Crisis Food”, where she related the story when she was the deputy high commissioner in Mumbai, India. “During a crisis or emergency, the last thing you would think about is food. She left her house at 11pm on a Wednesday to support her staff and the British people caught up in the incident. She returned home only at 2am on Friday. “Apart from having the odd snack here or there, I had not had a hot meal. “I had the high commissioner come down from Delhi and he came to my house, and we were hungry. “In Mumbai, I didn’t have any live-in staff. “So, it was just me, the high commissioner and a press officer. “I went to my larder to see what I had in the cupboard. “I found a package of pasta, a tin of tomatoes, tuna and some cheese. Treadell’s book is expected to be published next year. She said she needed more time to “finish writing some of the missing pieces, work out how to stitch them together so that there is a link to the narrative and carefully group things into the different chapters”.